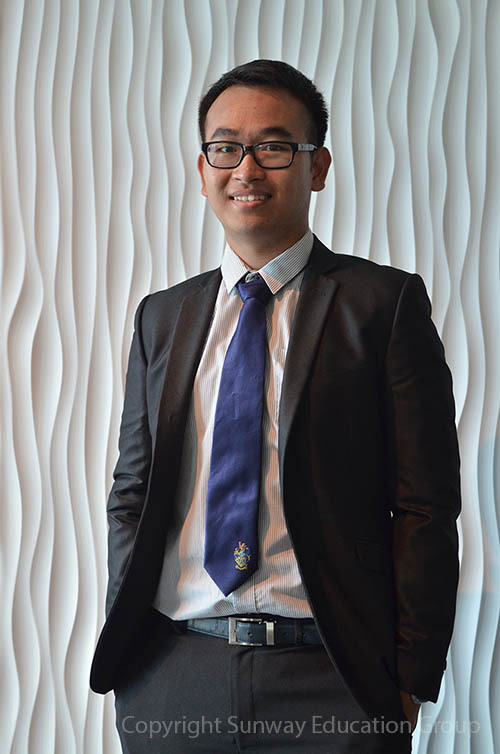 “I was tremendously excited as it is such an honour to be awarded this scholarship as the Sunway Group is well-known in Malaysia”, he said on being awarded the Scholarship. 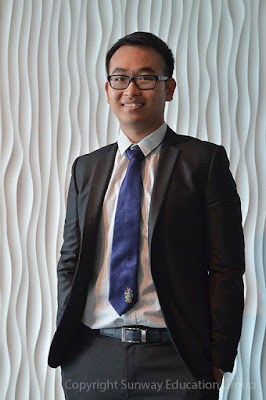 The Scholarship covers Chan’s full tuition fees as well as living allowance for his 4 years of the Bachelor of Civil Engineering programme at Monash University Malaysia. According to Chan, he has always been fascinated with building designs and structures, and hopes one day he will have the opportunity to design and construct one in the future. He professed he will derive great satisfaction to see a project from start to finish (completion of a building). Chan says he deeply enjoys university life at Monash. “There are many clubs and societies in which I can participate for extra-curricular activities. The University lecturers are very good and experienced. In class, there are many group projects like spaghetti-bridge-building in which I find very interesting. Teamwork is important as these projects contribute to our examination marks. Chan is one of many to have benefitted from Scholarships disbursed by the Jeffrey Cheah Foundation (JCF). Every year the Sunway Education Group through the Foundation aspires to reach out to more students, to provide them a chance at quality education with the hope to make an impact on students’ lives. This is in tune with Founder and Chairman Tan Sri Dr Jeffrey Cheah’s firm belief and understanding that higher education is vital to the progress of the country, and that a good education leads to a better life. The JCF, Malaysia’s largest education-focused social enterprise is imbued with the philanthropy of nurturing success and transforming lives through education. To date the Foundation has awarded more than RM210 million to thousands of deserving students.